This novelty cereal will never catch on. Not sure if I like this reworking of Little Women. In space these terrible miscalculations of scale are pretty commonplace according to a book I read once. The nail salons on that other world are amazing. Not another Arthur Conan Doyle and the Faerie pastiche. He has women in the palm of his hand. Hmm… the women’s bodies are lovingly detailed, but the face is blurred out. Priorities. @Tom Noir: further proof that this artist considers women to be aliens? 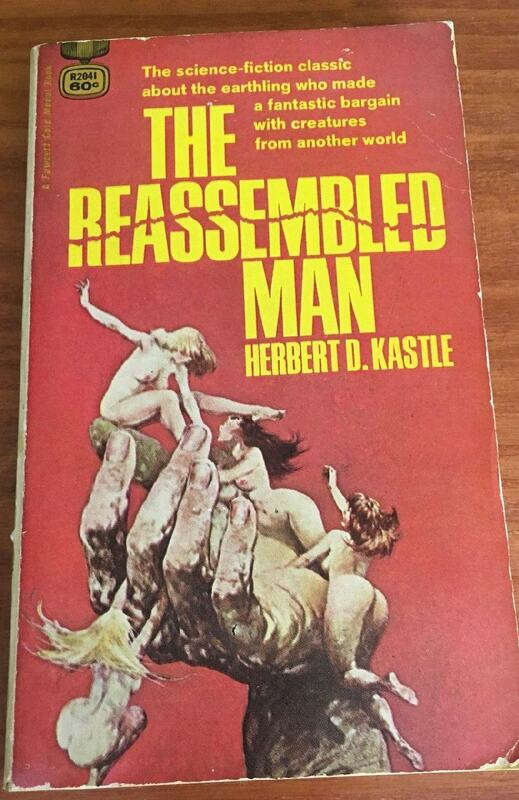 Was it that this guy was reassembled via lots of tiny tiny women? Serving as a climbing structure for tiny women, of whom he could see their Sir Mix anatomy, but they were too small to shag? I know the title font was playing off the title, but it just looks like the cover has a crack in it, or the yellow ink’s falling off. A hearty snicker to B’mancer, fred, Tor, and Tracy. @Tor Mented: I’m afraid you have the metaphor the artist was going for exactly right. @X-noob – Including the title I’m counting three cracks on this cover. @BChiclitz: No no, I hear he assed the exams.